Jesse Ortiz, who some may know as the designer of the highly regarded Orlimar Tri-Metal line, has been designing golf clubs for the Bobby Jones company that focus on making the game easier for amateur players. His latest hybrid, simply named Bobby Jones Black, not only brings exceptional playability, but also high-end technology for added consistency and forgiveness. 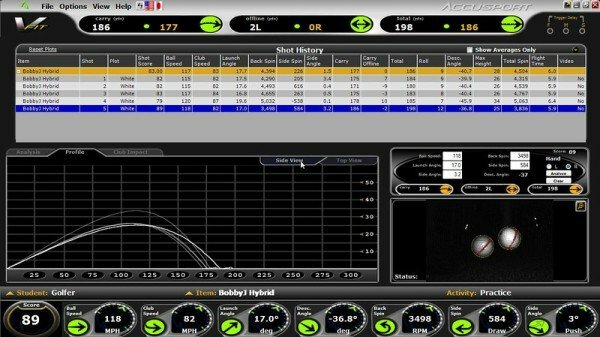 Cup face technology is something we see here and there in drivers, but until very recently it remains an underutilized technology in hybrids. Rather than the welded-on face that we typically see, the face is one unit made of thin, high-strength maraging steel that attaches to the main body of the club. The question regarding this technology is why should it be important to golfers? The answer can be quite technical in nature, but can be broken down a bit for simplicity. By not welding the face around its outer edges, the edges can be thinner, which means they can provide better performance when the ball is hit there. In other words, forgiveness. Also, less weight towards the face of the club means more weight can be placed at the rear, which can assist in producing optimal trajectory. The primary reason we don’t see this technology more often is cost, but the bottom line is that golfers benefit as it becomes more prevalent. Sole and leading edge design plays a vital part in how a club reacts to a swing not only on perfect lies, but also in trouble spots. The Black hybrid’s leading edge features a great deal of camber (giving it the smiley face shape), which means the club face shouldn’t be manipulated as much by interaction with things like rough, pine straw, and sand. In addition, the railed sole gives an added level of forgiveness not only in imperfect lies, but also for those players that experience heavy misses from time to time. 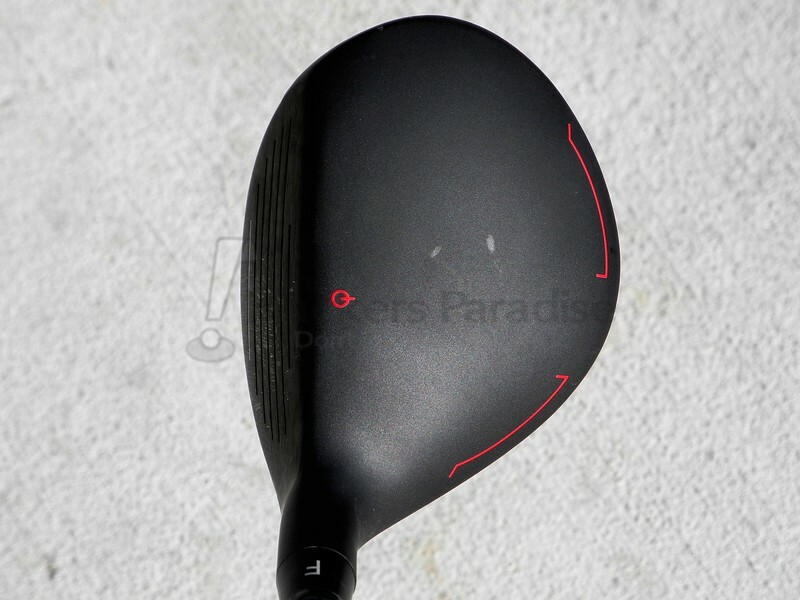 By featuring a standard and flat setting through a hosel adjustment, the Black hybrid offers two options that should help players dial in their dispersion (rather than adding/subtracting loft through face angle changes). A cause (for some players) for the ‘hook-machine’ stigma that hybrids get on the internet is at times related to lie angle issues. In testing, the standard setting worked better for the reviewer, who is just over 6’ tall, though both settings were tested. Adjustments are made using a standard Allen wrench that comes with the club, but can be bought anywhere, as opposed to the larger torque wrenches we see from most companies. Primarily outfitted in matte black and red, the Black hybrid has a very ‘stealthy’ appearance in hand and at address. 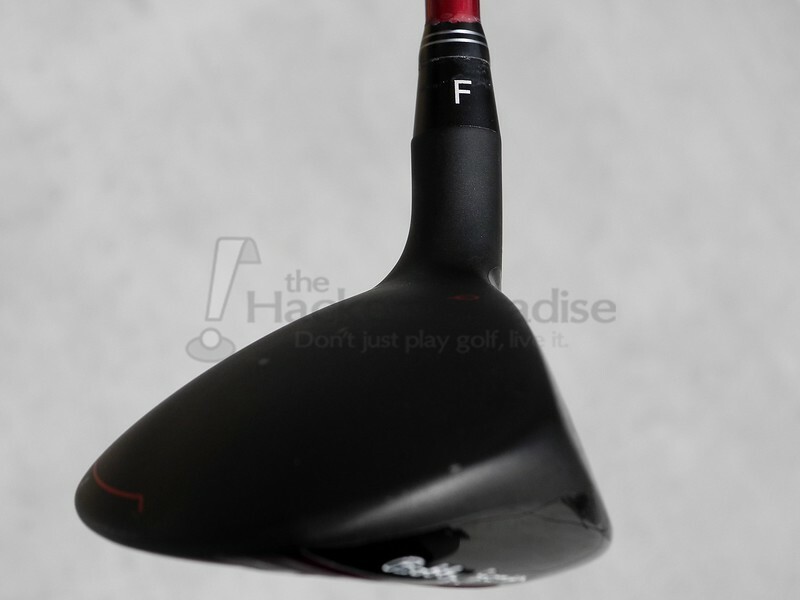 The shape of the head features some offset and is a bit unconventional with an elongated rear section, but at address is no larger than most other game improvement hybrids on the market. The face appears to sit low to the ground at address, which promotes confidence with shots from the fairway. In hand, the club feels somewhat light, but decently balanced with its conventional swing weight. The Graphite Design shaft is easy to load and swing, though probably on the softer side of flex for the bigger swingers. Normal swing speeds should find it comfortable enough and it seems to promote a higher trajectory. 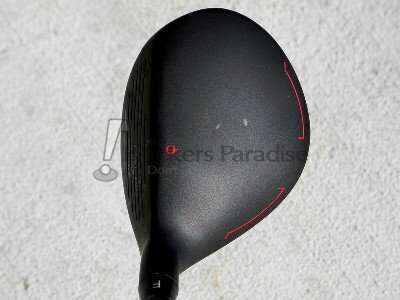 Ortiz describes the Black hybrid as having a ‘crisp’ sound at impact, and it’s a struggle to come up with a better descriptor. The sound is slightly metallic, without any hint of hollowness or loudness, and most consumers will enjoy it very much. 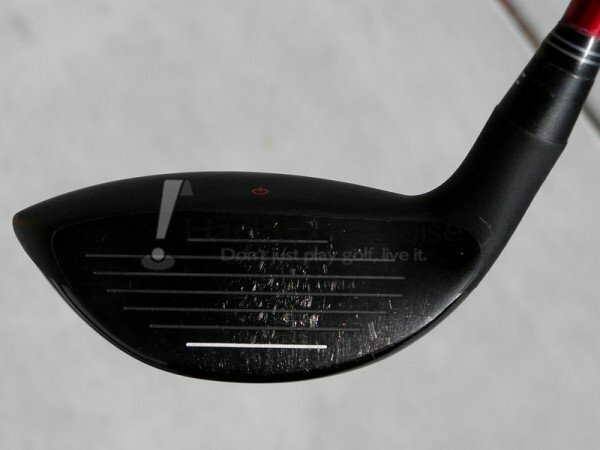 The Bobby Jones Black hybrid was tested in 25° of loft with the stiff Graphite Design shaft. Testing took place during multiple rounds of golf, at the driving range, and on a Vector X launch monitor. The chart below shows launch monitor results from five consecutive strikes using a Titleist NXT Tour S ball. The average over five shots is highlighted in yellow and does include some shots that were off-center. Click on the picture to expand its size. Testing both on the course and launch monitor showed that the Black did function very much as an iron replacement, as opposed to the ‘max-distance’ leaning hybrids that we are seeing from many manufacturers right now. It proved to gap very nicely into a standard game improvement iron set as a 5 iron replacement. This is important to note, because the 25° hybrid is technically described as a 4 iron replacement, but that depends greatly on the type of iron set one is playing. When integrating the Black into a modern (distance oriented) iron, it was found that stepping down a number provided good gapping results. Ball speeds were actually comparable to similarly lofted hybrids tested, but the spin rates produced by the Black were slightly higher than others, resulting in both a higher ball flight and steeper angle of descent. While raw distance is often sexier in the world of golf equipment, the benefits of actually hitting and holding greens could outweigh an additional 5-10 yards of distance, especially since hybrids often function as ‘precision’ clubs for many amateurs. On course testing showed the Black to be an excellent replacement for a longer iron, especially for the tester, who isn’t a high-ball hitter. Cross face forgiveness with the Black proved to be excellent, both in terms of distance loss and dispersion. The first two shots in the table above were both misses lower on the face and towards the toe, with small drops in ball speed resulting in a slightly shorter shot. At the distances seen from using the club, the dispersion was quite impressive for a mid-handicap golfer. The other element of forgiveness not shown on the launch monitor, but seen on the course, was how the club reacted to slight heavy misses. Both the cambered leading edge and railed sole functioned to allow the club the least amount of resistance into the ball, providing entirely acceptable results for what can be a hole-killing miss. As noted above, the design of the Black’s leading edge and sole are intended to allow maximum performance from the different kinds of lies that amateur golfers often find themselves in. During multiple rounds in Florida with members of THP, the Black illustrated just how well it could perform from Bermuda rough and fairway lies, sand, pine straw, and the dried up banks of swampy areas. When tested in the Midwest, it performed equally as well from soft spring lies, wet bluegrass rough, and the thin lies seen on reemerging fairways. The Black hybrid does seem to want to put the ball high in the air, which will cause some distance loss on full swings in heavy winds, but knockdown shots and punches were not difficult to produce with a good swing. The tester cannot comment on workability, but it should be kept in mind that the Black is not intended to be a club for moving the ball around the golf course. However, it proved to be extremely playable by a wide-range of handicaps ranging from low single digits to the low teens, reacting best to a smooth swing. Fantastic review here Hawk and as a golfer that is a lover of hybrids you have me wanting to hit this in a bad way. The long iron replacement and “lie angle” only adjustment really resonated with me. 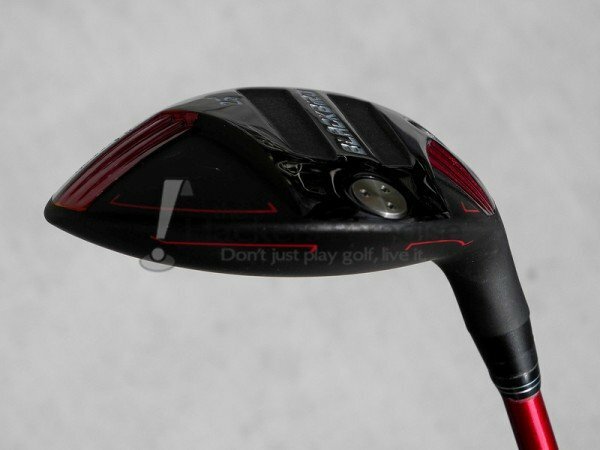 Give me forgiveness in a sleek package that is built to perform and help me on the course. A 3h that goes 240 like a rocket does me no good when taking aim at a green. I have much respect for Jesse Ortiz along with Bobby Jones with their approach as it’s vastly different than what we are accustomed to from OEM’s. Great review Hawk. I love what Jesse has done gearing the Bobby Jones products to amateurs. I definitely want to hit this and see how it performs for me. Well written review. I own the Black Hybrids and they are well-balanced clubs. I’d describe the feel as crisp, solid and lively. It doesn’t get any better. Like Jesse’s past hybrids, these are easy to get up in the air and improved over prior versions – less spin, more carry, more forgiveness, and great feel. The mini-fairway look combined with the rounded sole offers confidence and versatility. Most players will find these a great fit. I own three of the Bobby Jones Black Hybrids 18 and 25 degrees. 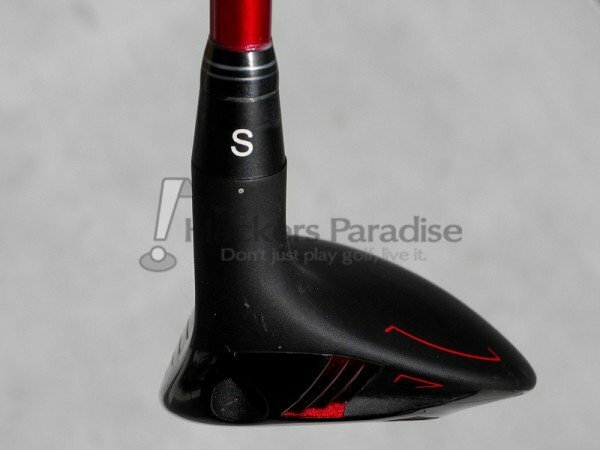 I am 4’9″ and love these clubs, and use them tee to green getting my best disrance ever. I have owned many major brands of clubs in my 18 yrs of play, and none compare to the distance and straight ball I hit with these clubs.I know these are mens clubs, but I have played these clubs for two years now and have not gotten off of the fairway one time yet! Thanks for making such wonderful clubs!